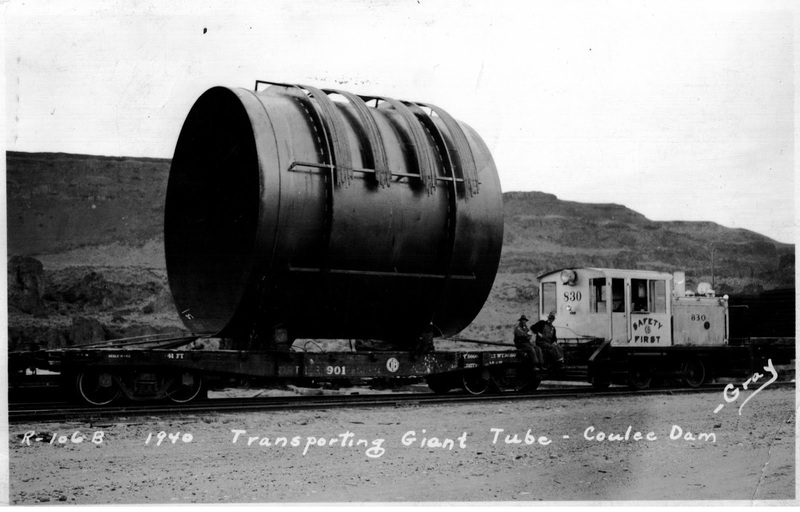 Penstocks were built at the fabrication plant in Electric City, being far too large to ship by rail. Here is one of the 18 foot sections getting ready to depart for the dam. Locomotive 830 was built new for Consolidated Builders, Inc., in February 1939. This view shows the north wall of the Grand Coulee in the background.